Purist Single Hole 1-Handle Secondary Sink Faucet In Polished Chrome Designed to accommodate an extra-thick counter, this Purist bar sink faucet combines a strong architectural form and simple-to-use features. The high-arch swing spout maneuvers easily around large cookware, while the side lever handle controls temperature and flow. This faucet is ideal for an entertainment area, kitchen island, or prep sink. 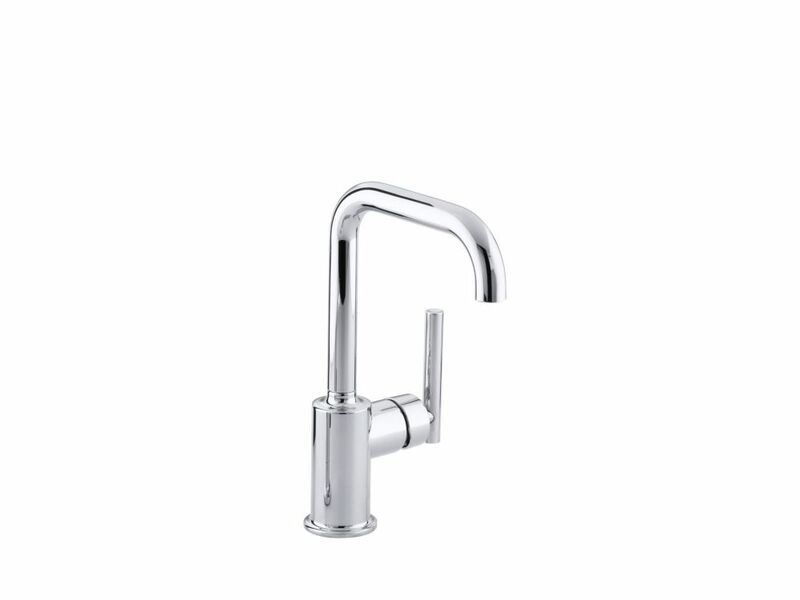 Purist Single Hole 1-Handle Secondary Sink Faucet In Polished Chrome is rated 5.0 out of 5 by 1. Rated 5 out of 5 by Vicki from This is a heavy, wellmade faucet that moves easily. It’s... This is a heavy, wellmade faucet that moves easily. It’s in a brilliant chrome finish and is not too tall to fit under my 42” upper cabinets. It’s in scale with my two smaller prep sinks and has a modern, clean look. I have two and look forward to using them.